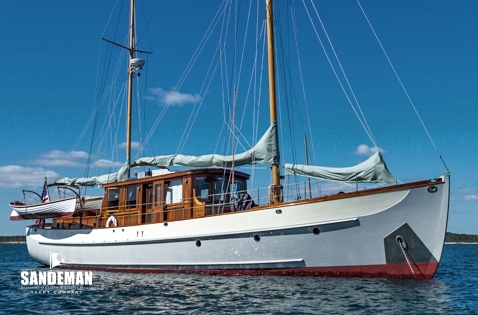 Designed by John Alden in 1937 for a discerning owner who wanted an elegant floating home for 2 people able to go anywhere, she became the first pleasure boat ever to be tank tested ! 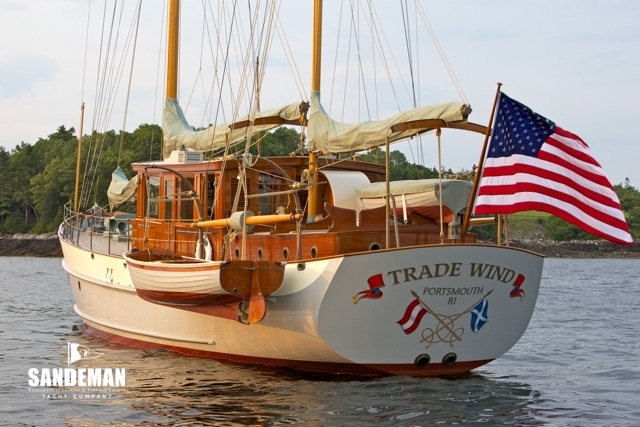 On buying TRADE WIND in 2008, the current owners had a vision to give her everything she needed and deserved having been in commission for a full 70 years. 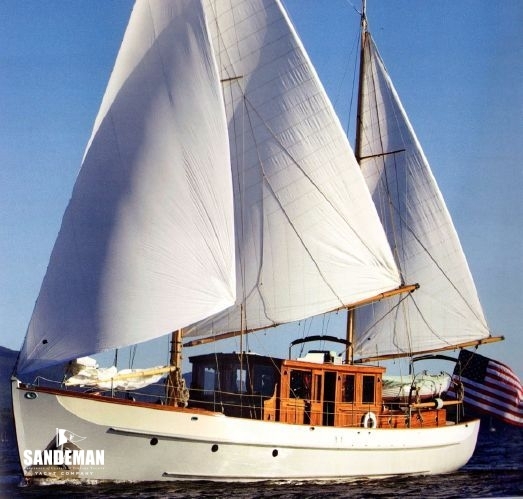 In collaboration with the then still operational J.G. 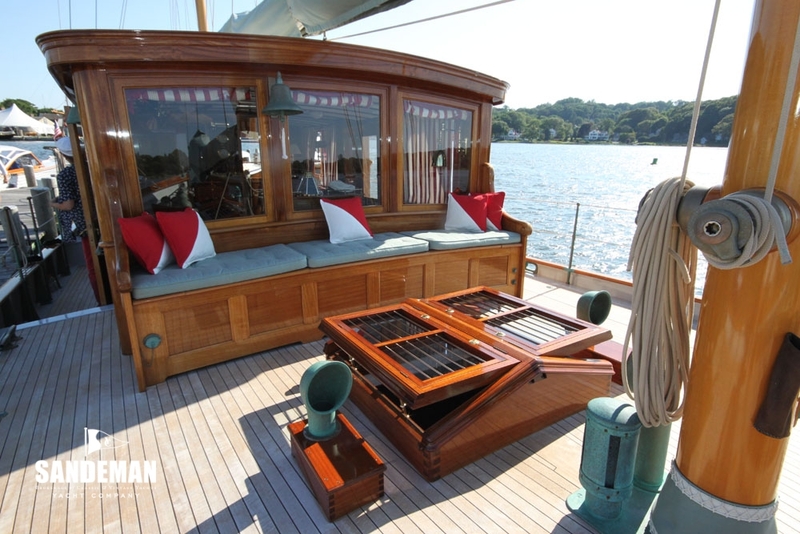 Alden Office in Boston and its head designer Niels Helleberg, they made a plan to make her a model of classic yachting while at the same time meeting the needs of modern lifestyle and seafaring. 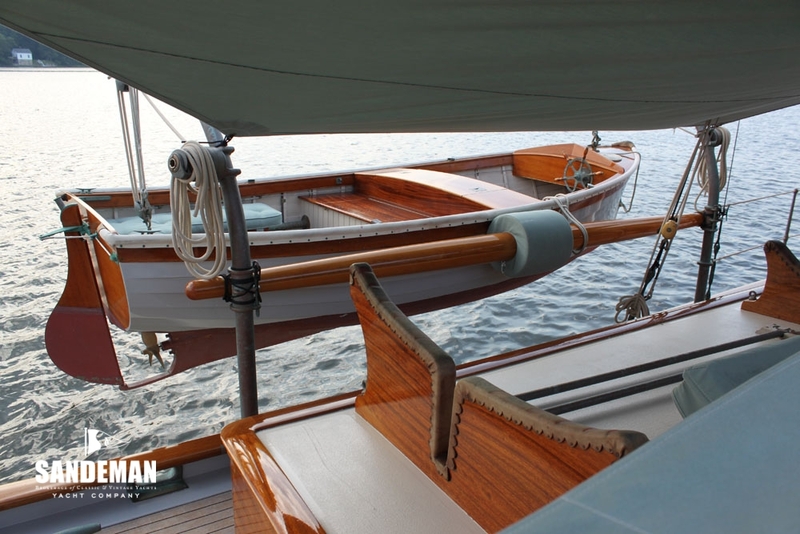 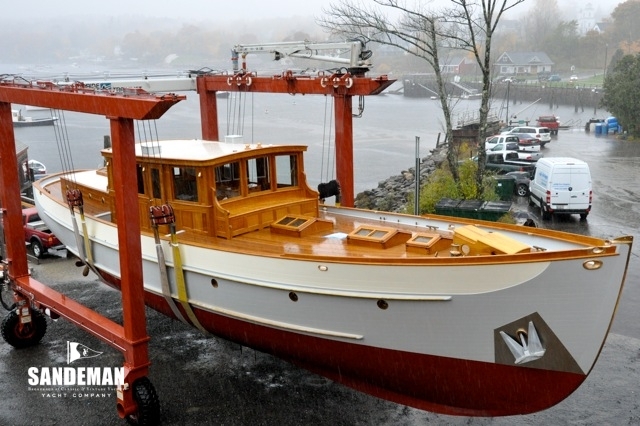 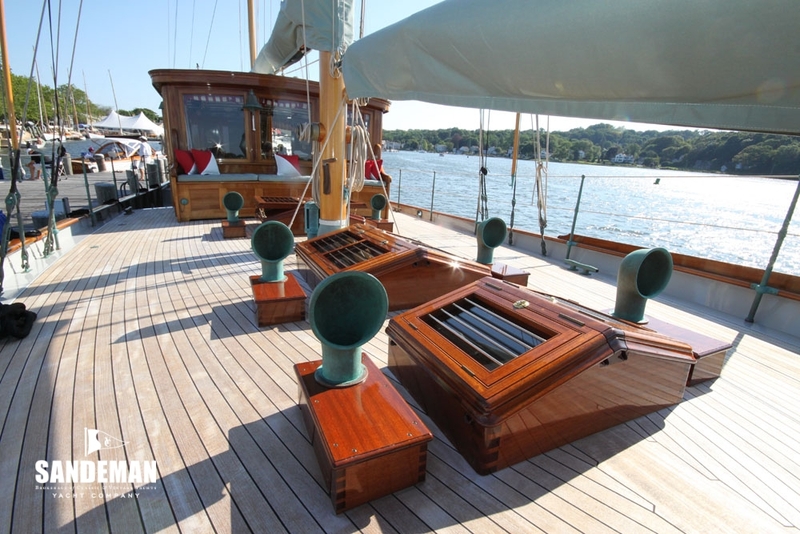 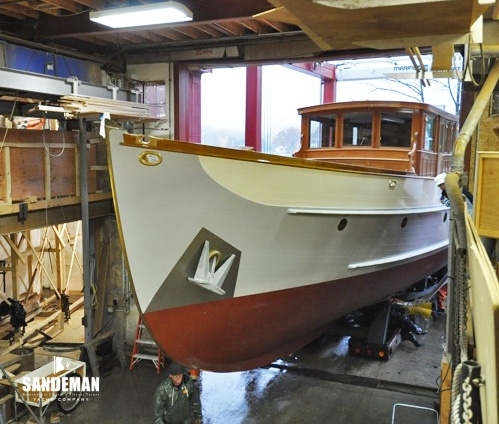 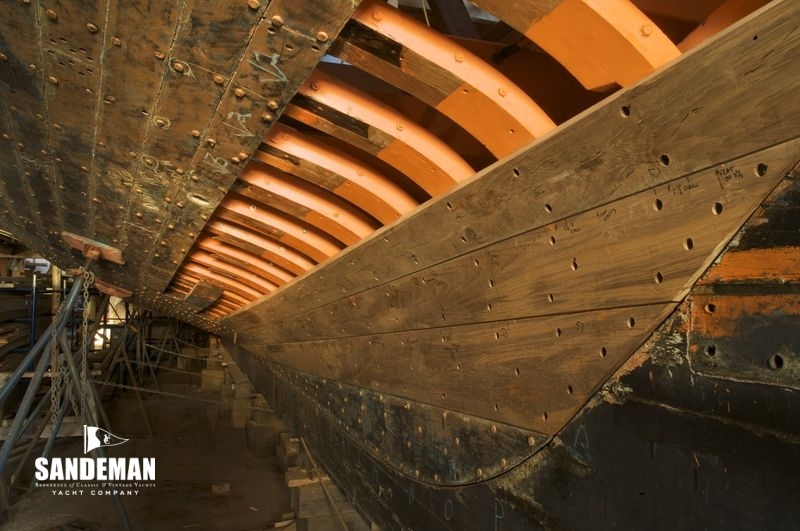 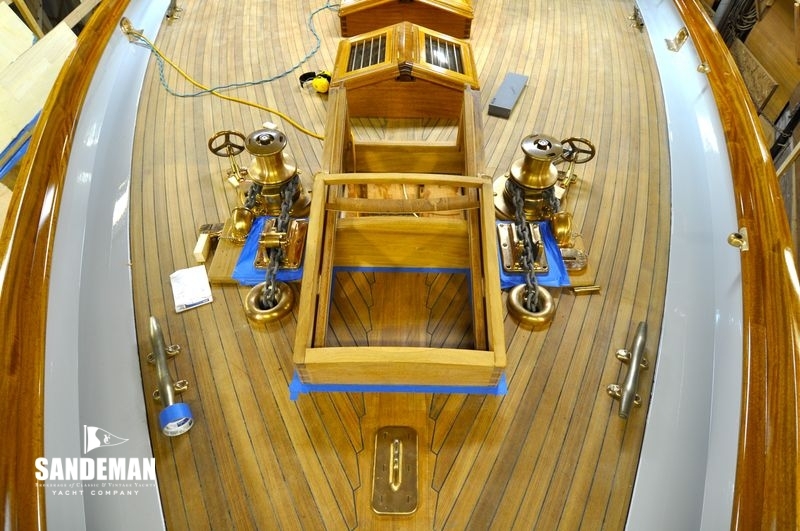 Rockport Marine in Maine achieved the enormously complex keel up restoration to the exquisite taste and long experience of the new patrons. 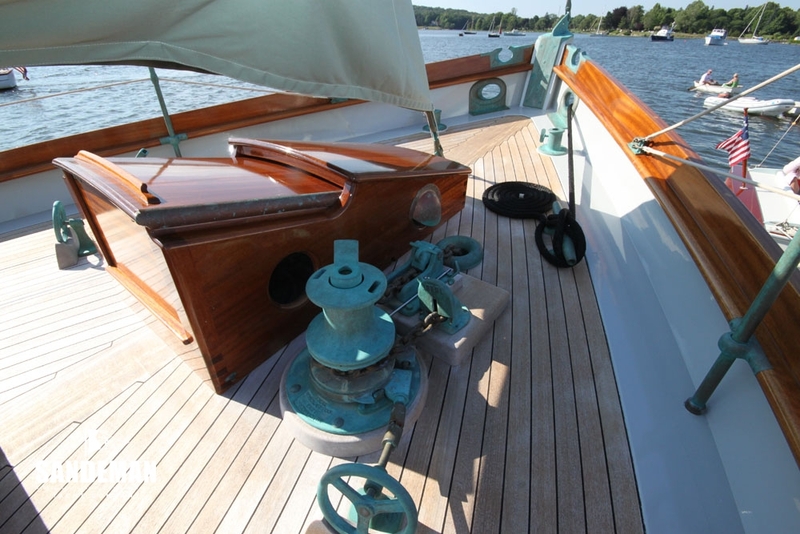 3 years in the shed, close to 20,000 miles at sea and several prizes for best restoration, attest to her meeting all these parameters with bravura and TRADE WIND deservedly takes centre stage wherever she goes, piloted so far by the owner couple without additional crew. 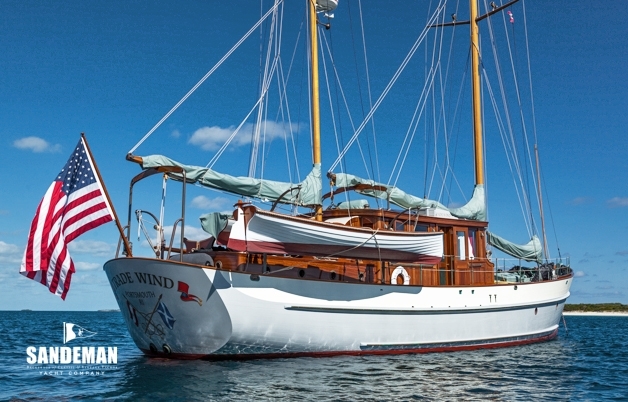 TRADE WIND was designed and built to be the ultimate in elegance. 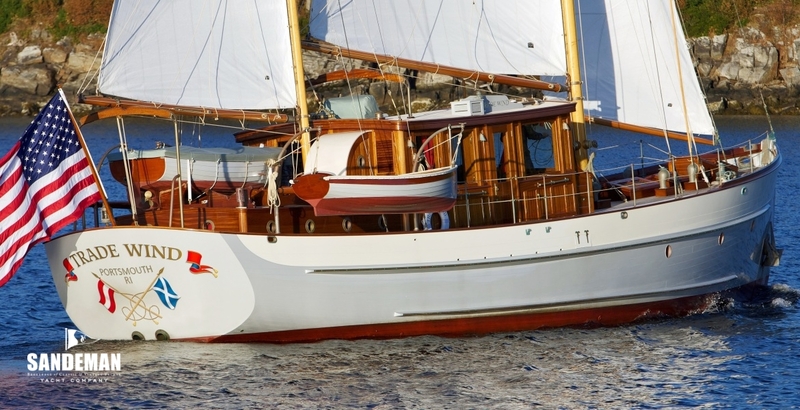 She has been restored to her classic good looks and style but with concessions to modern convenience. 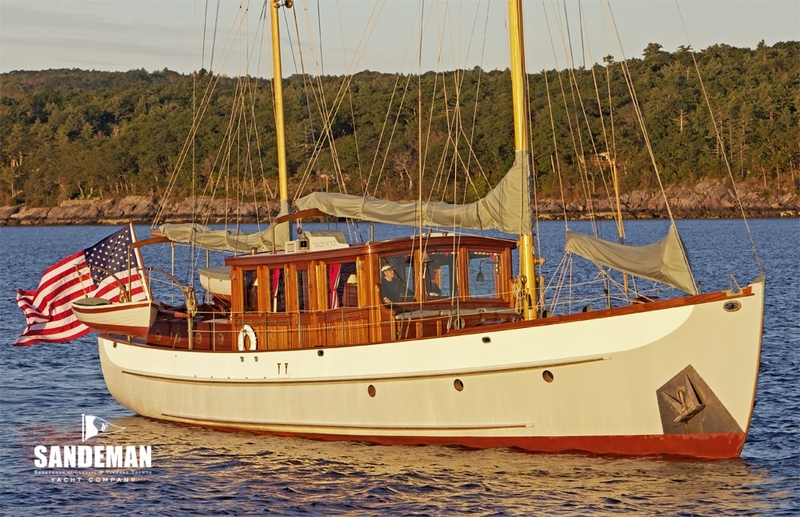 Motor sailers are intended to be the best of both worlds; Power under sail for peaceful cruising and powerful diesel engines to get you where you want be when you need to be there. 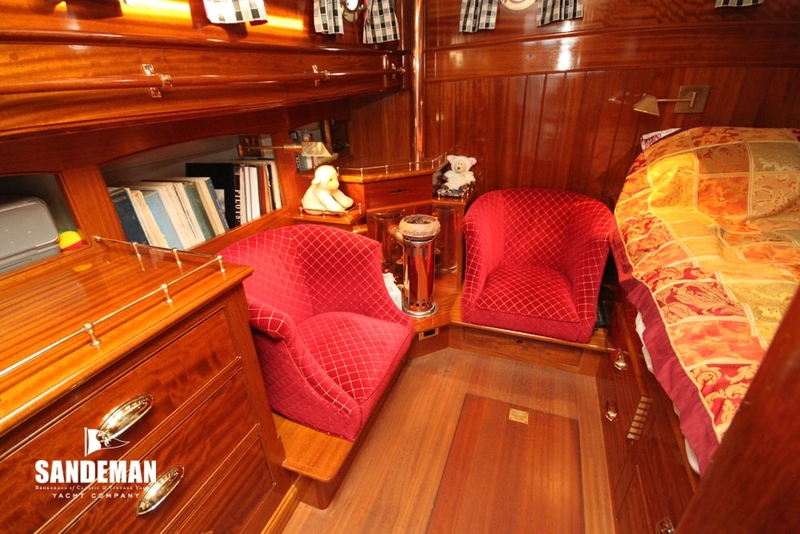 This custom motor sailer was designed by John Alden to meet the exacting and demanding specifications of a discerning owner. 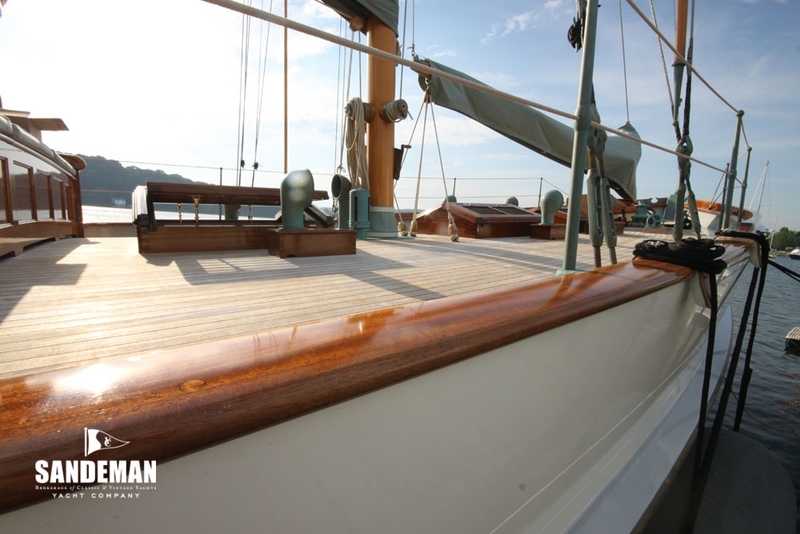 Almost eighty years later and following a three year restoration she is absolute classic elegance. 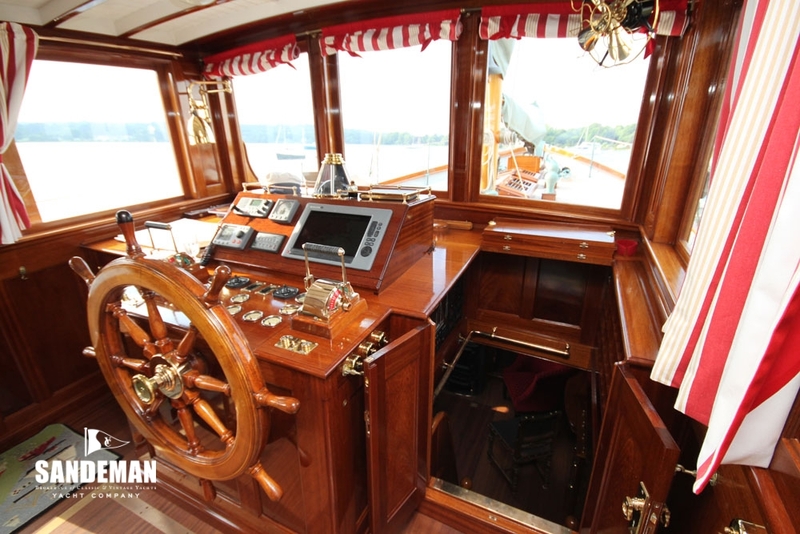 On deck her superstructure is in the finest joinery accentuated by bronze hardware. 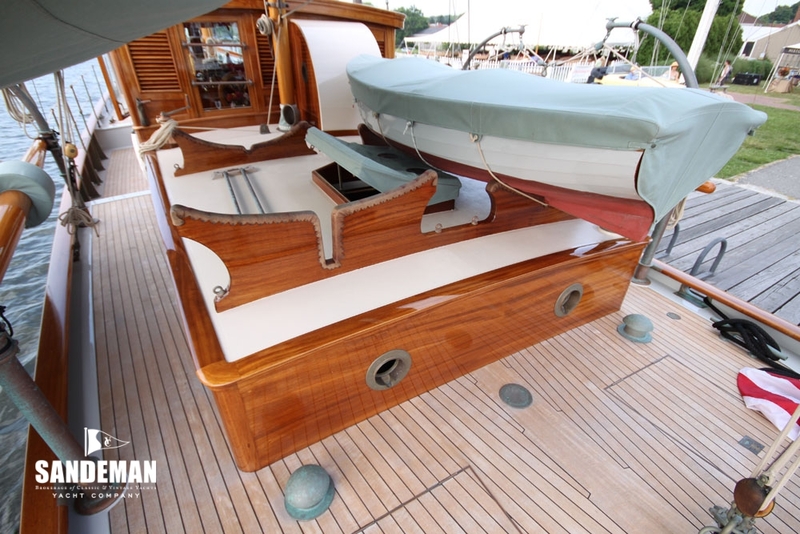 The large pilothouse shares the deck with three skylights, a tender trunk, and two tenders suspended from bronze davits. 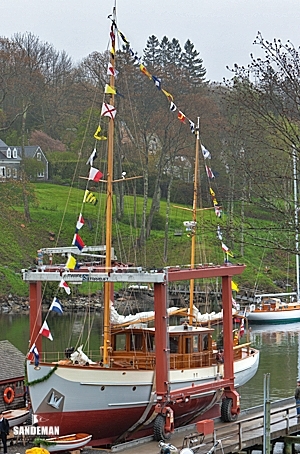 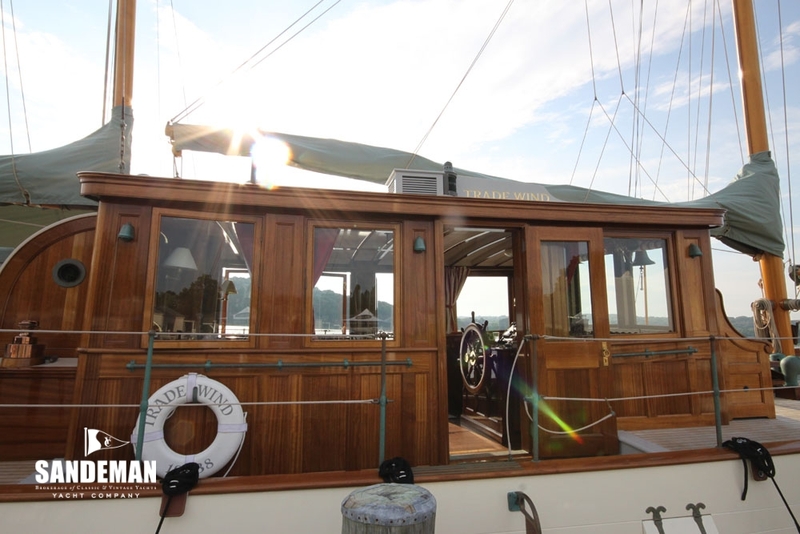 Ketch rigged, Alden optimized the performance and handling in 2008 such that she blends traditional with modern sailing technology. 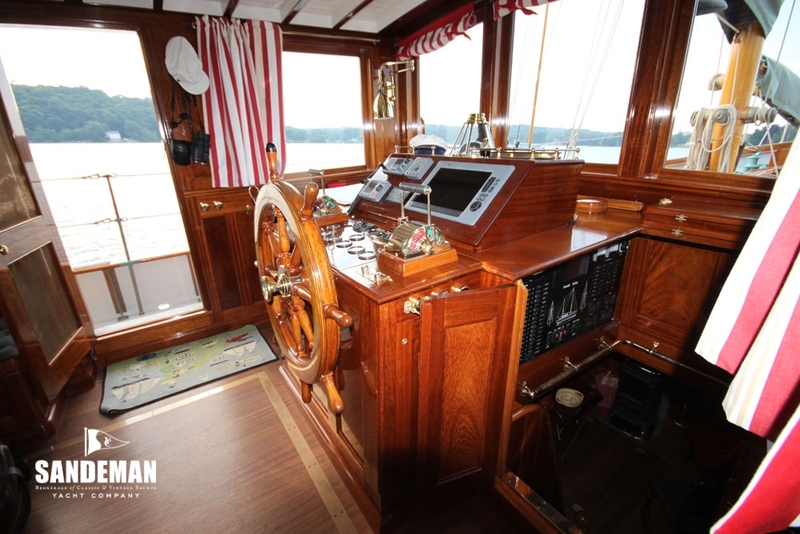 The pilothouse has ten large windows for the ultimate views and natural light. 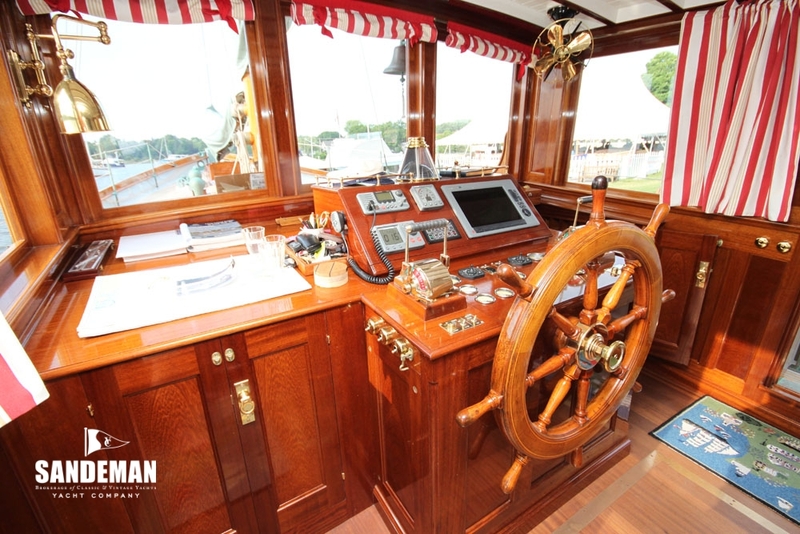 The helm is forward with the original 40 inch wheel, vintage working gauges and dual controls. 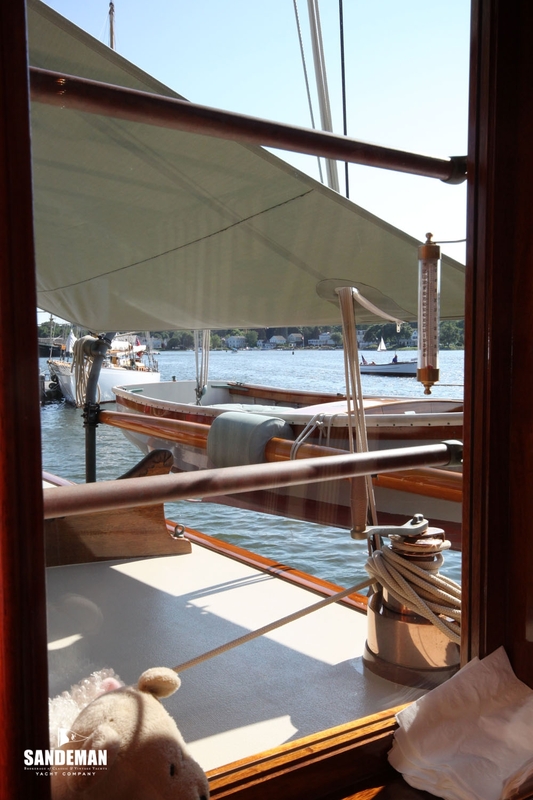 A modern instrument panel brings her into the 21st century however. 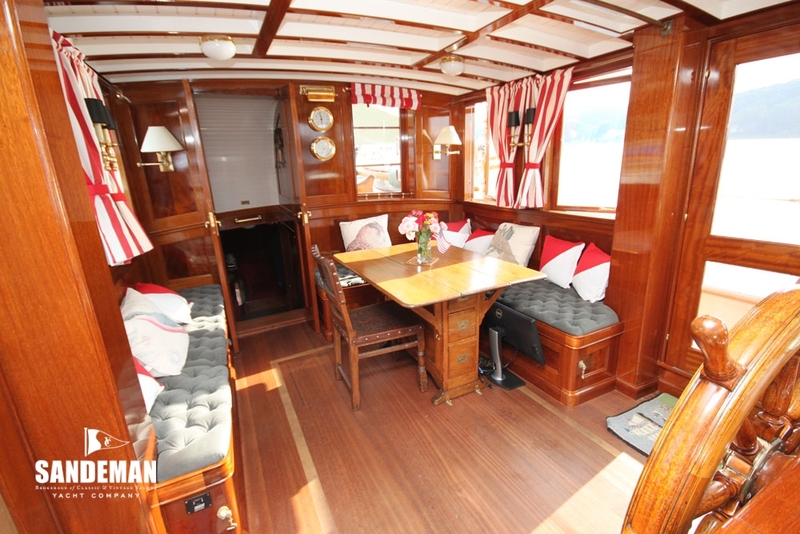 An L-shaped settee, drop leaf table and benches provide a seating and dining area with a clear view. 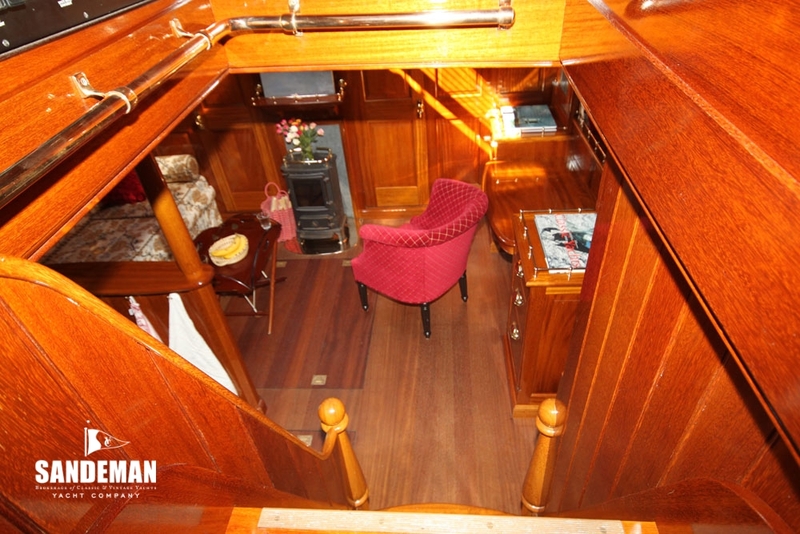 Doors either side provide deck access. 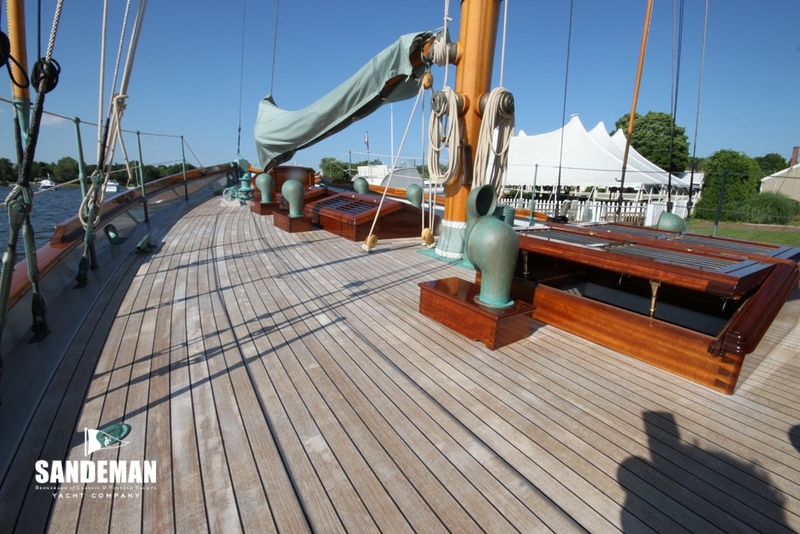 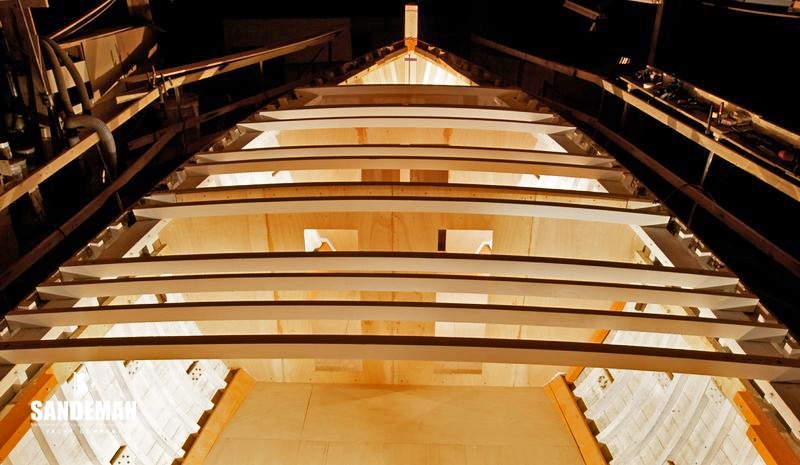 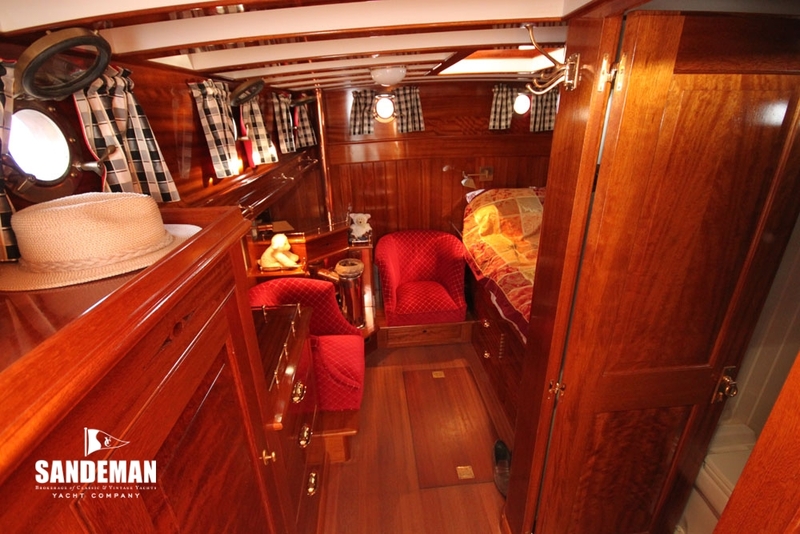 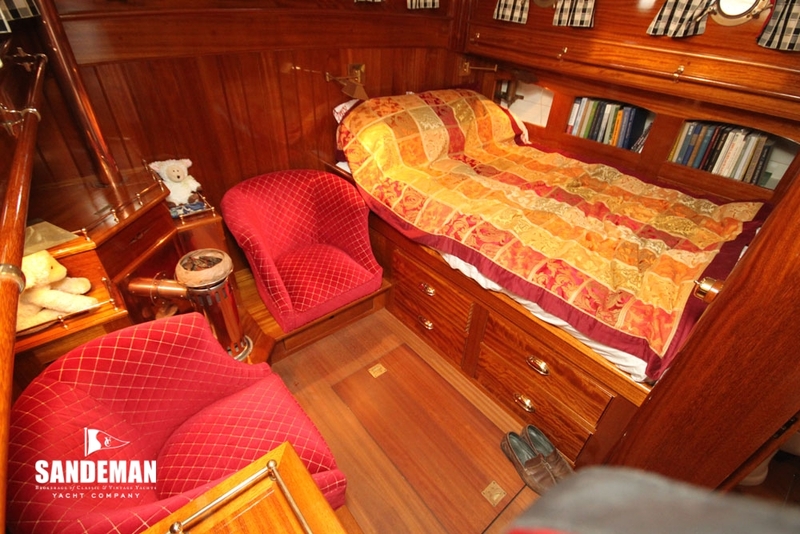 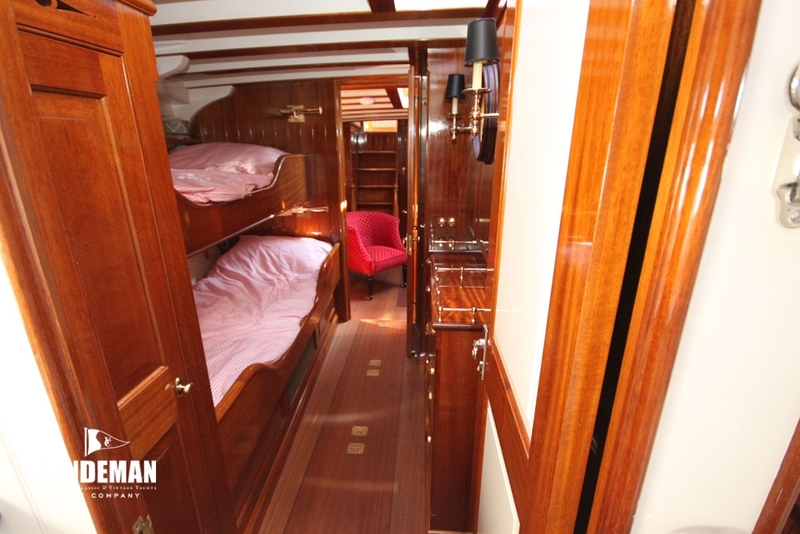 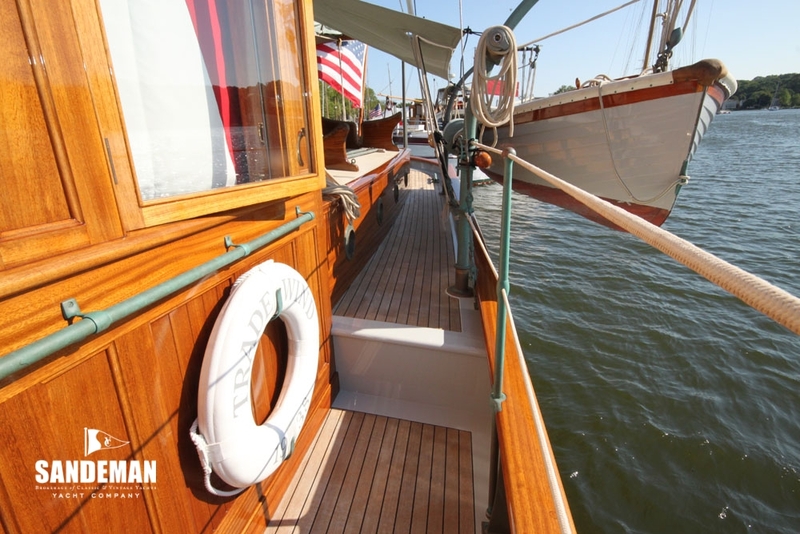 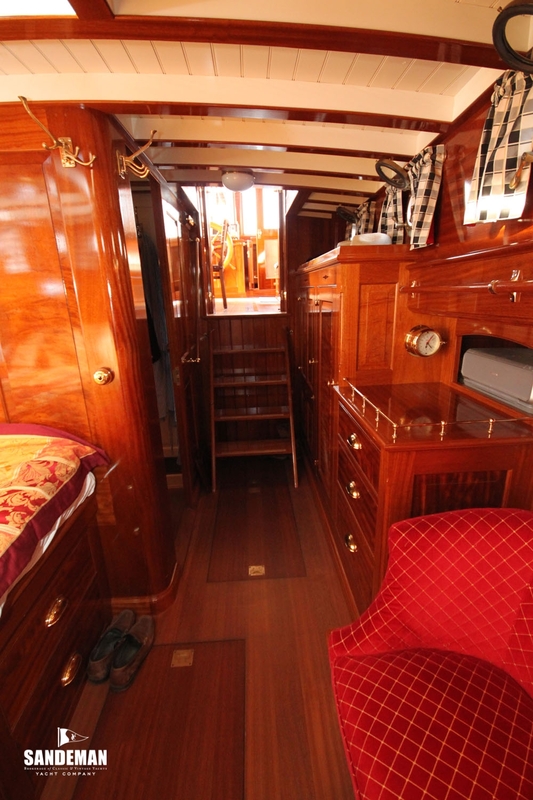 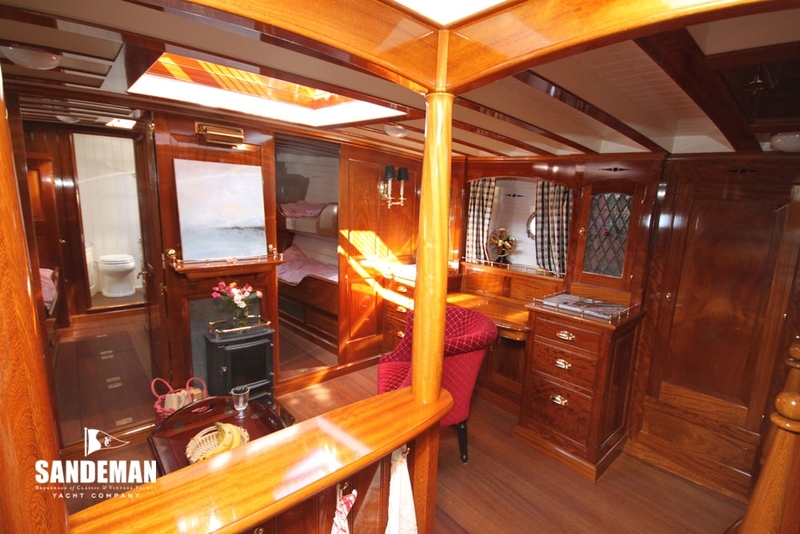 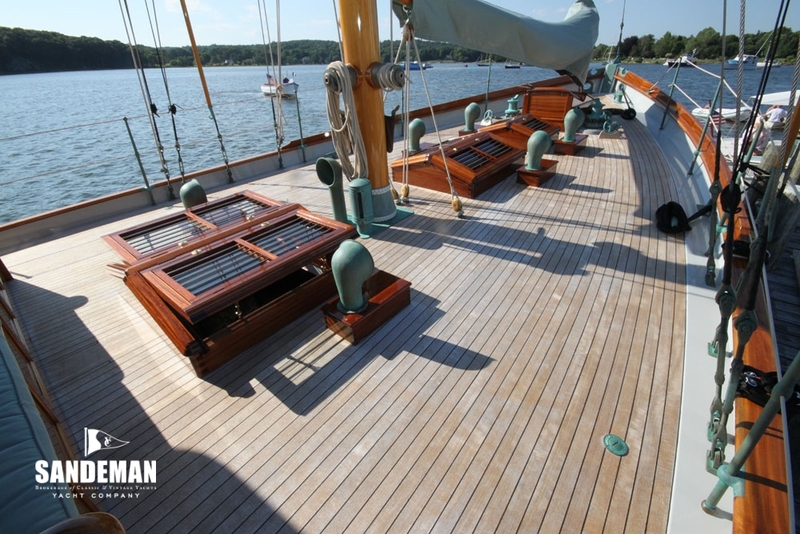 The companionway forward leads below to main saloon, galley and guest quarters while a further companionway leads directly to the master cabin aft. 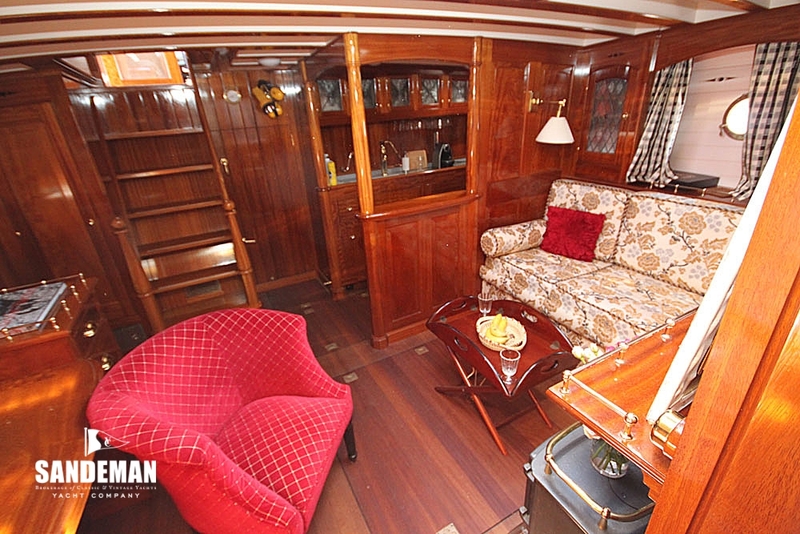 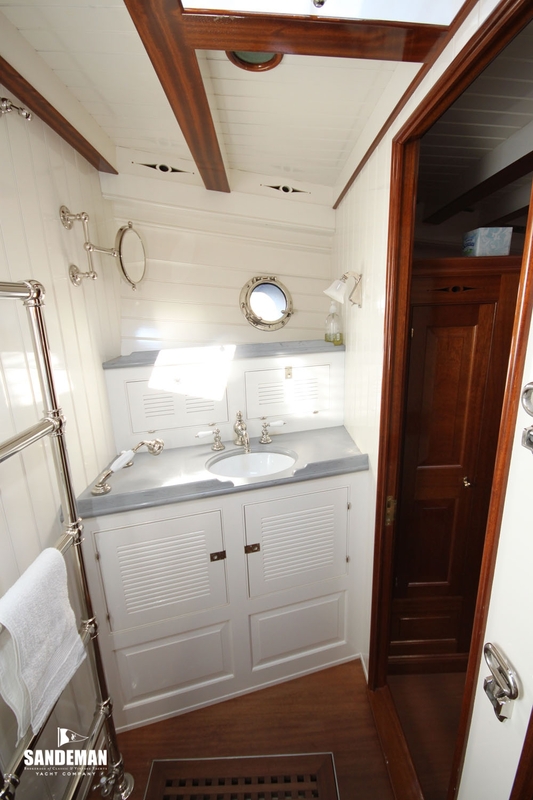 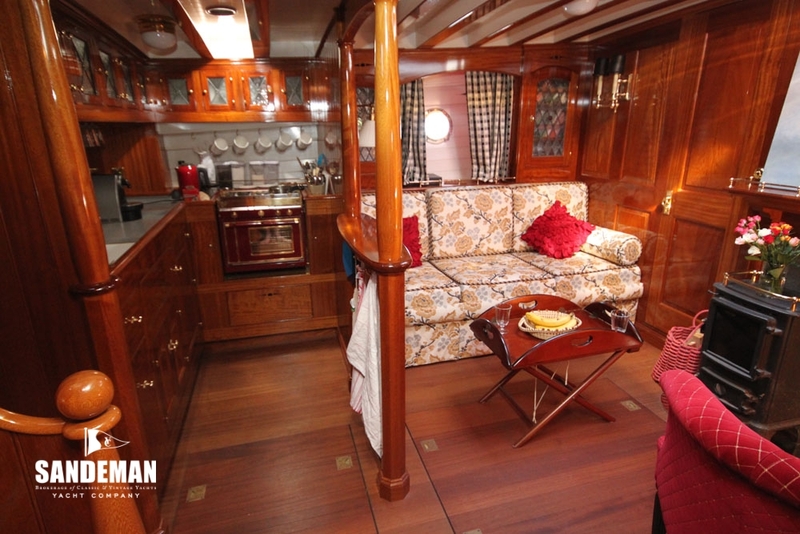 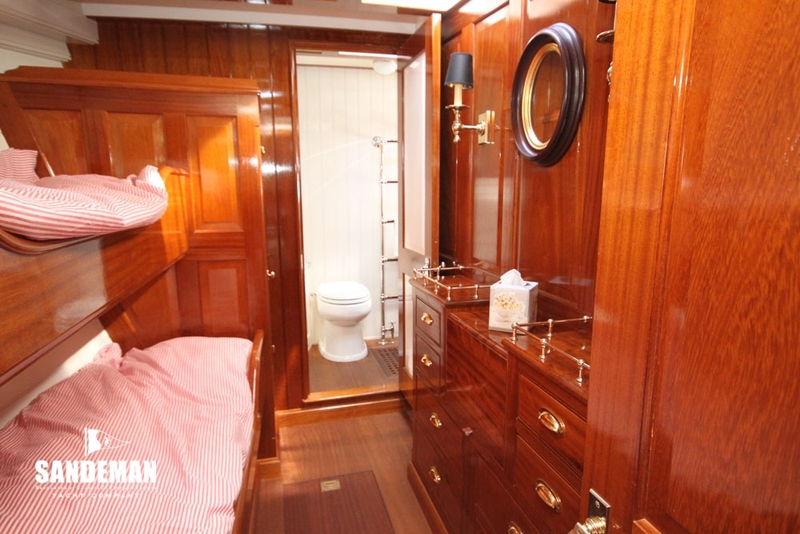 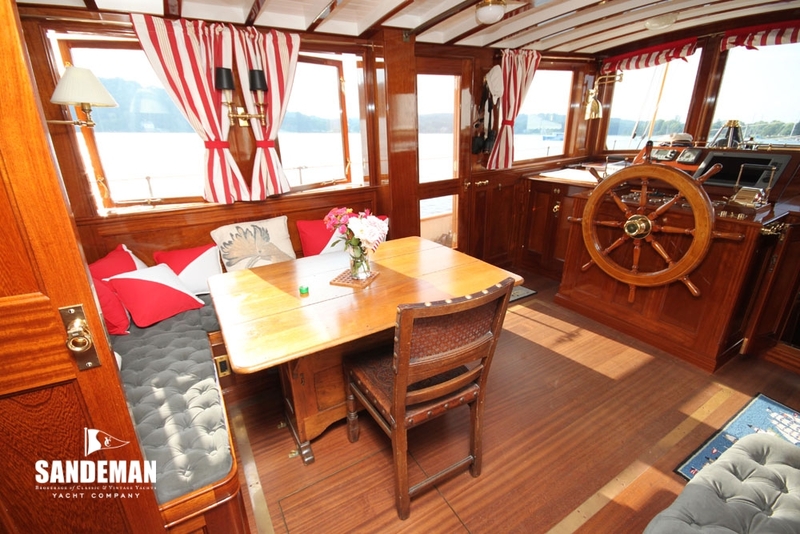 The lower deck features the master cabin aft with queen berth, under berth storage, drawer storage, hanging locker, dresser, two sofa chairs, heater, and private bathroom with tub. 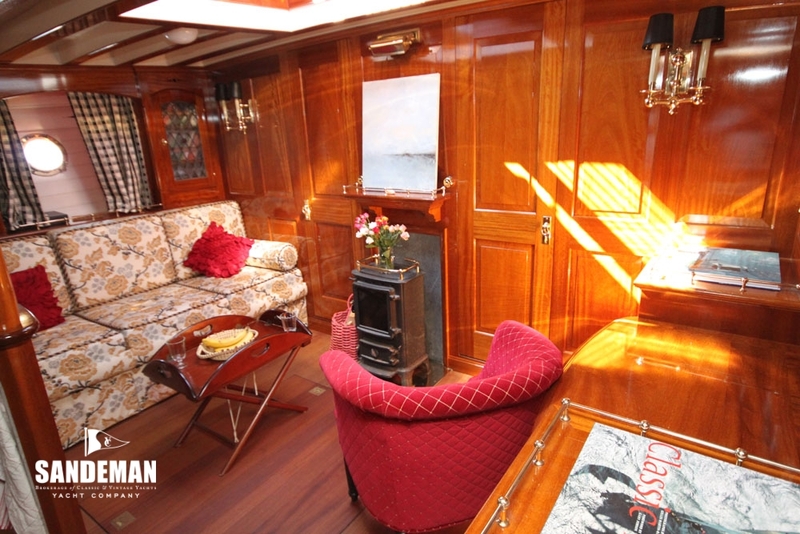 The main saloon has an alcove with sofa, sofa chair, desk, book cases with lead glass doors, hanging locker, instrument locker, vintage fan, wood burning stove and skylight. 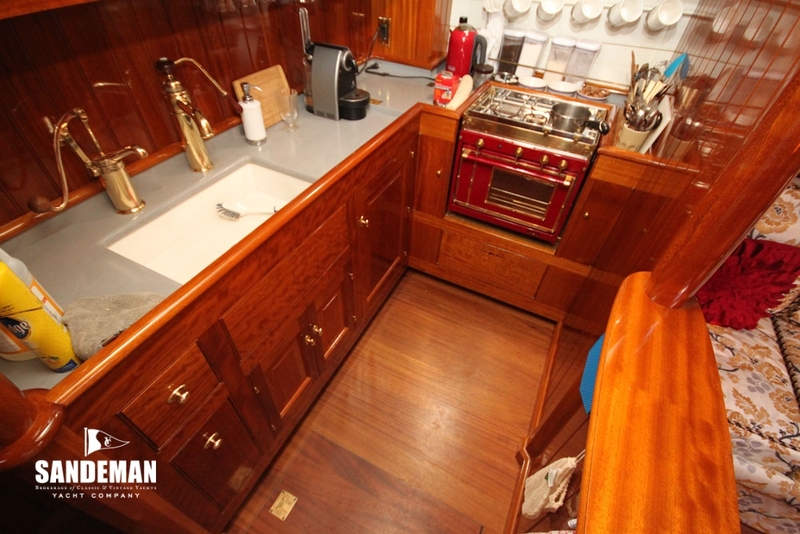 The galley has L-shaped Corian counter with white earthenware sink, classic pump and faucet, Isotherm refrigerator / freezers, compact microwave oven, and a red enamelled country stove with oven. 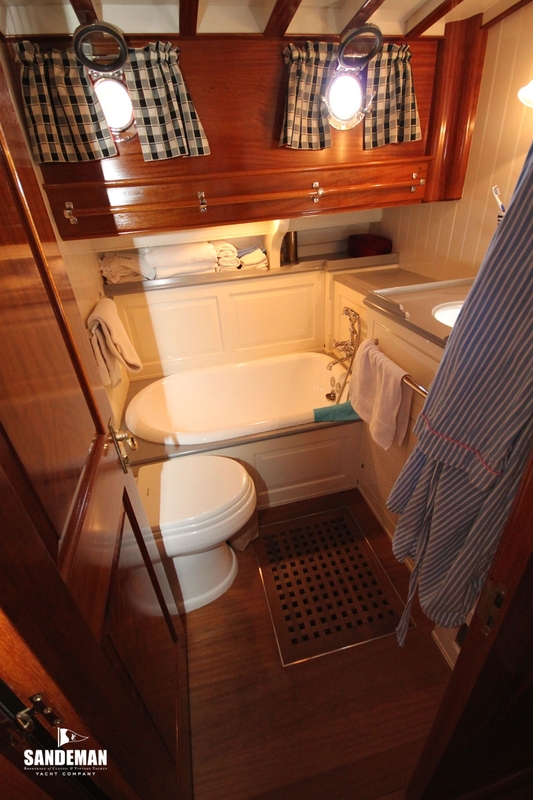 Two guest cabins with a dividing bulkhead provide upper and lower berths, drawer storage, hanging locker, and a shared guest head with shower. 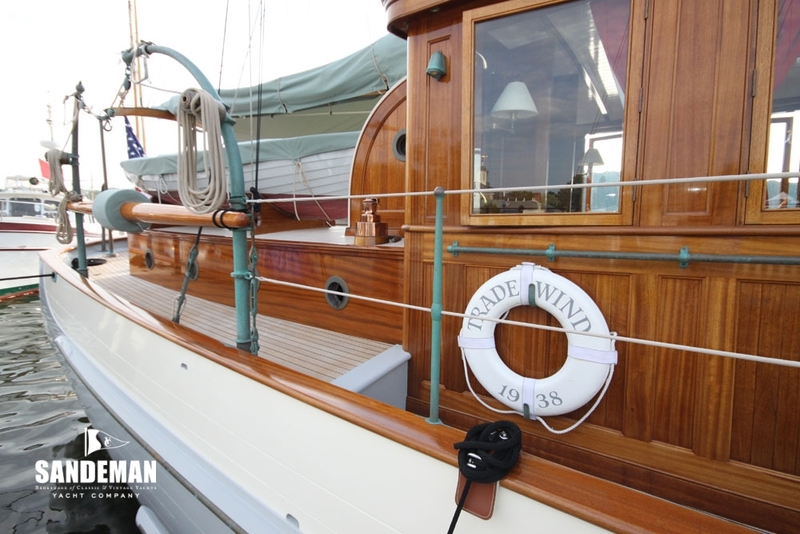 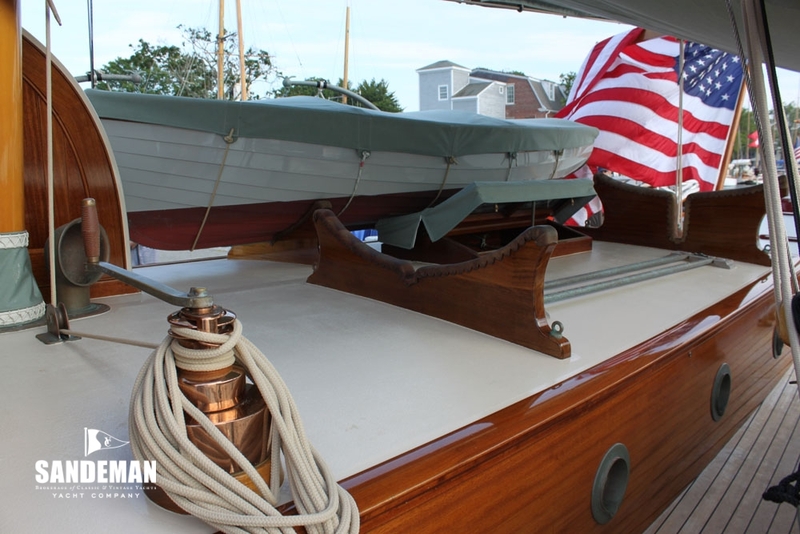 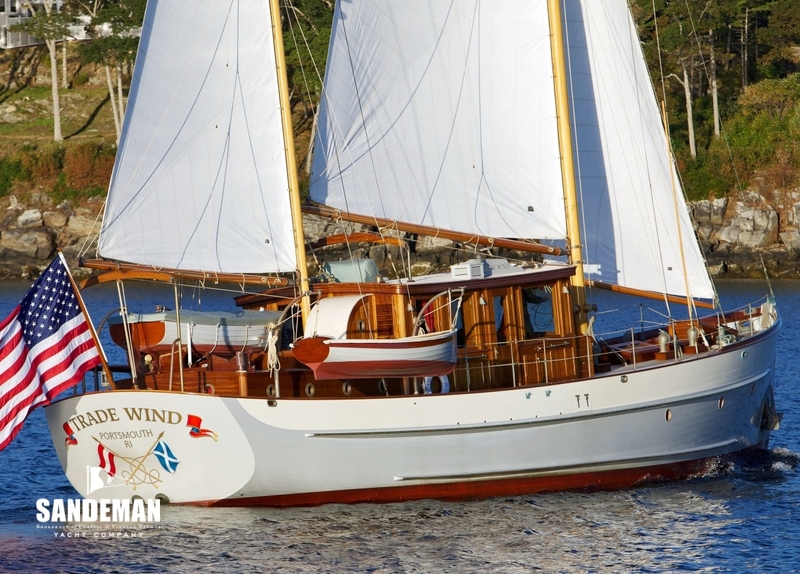 Trade Wind was commissioned 1937 by a prominent Great Lakes yachtsman who wanted a \"….comfortable floating home for two, able to go anywhere\", and a yacht he could use as a tender to the 8 Metre he campaigned up and down the East Coast as well as to accompany the race fleet to Bermuda. 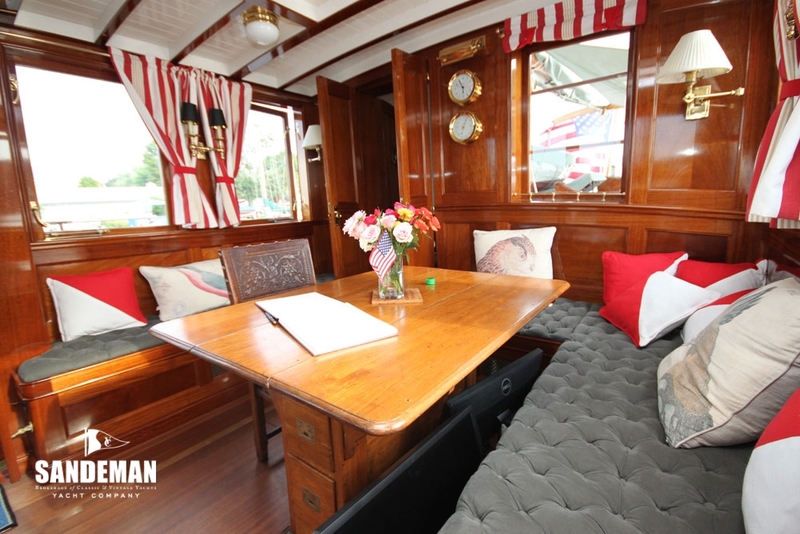 There is little information about her whereabouts during the war, but after that she entered a long and successful career, serving both private owners and commercial enterprises. 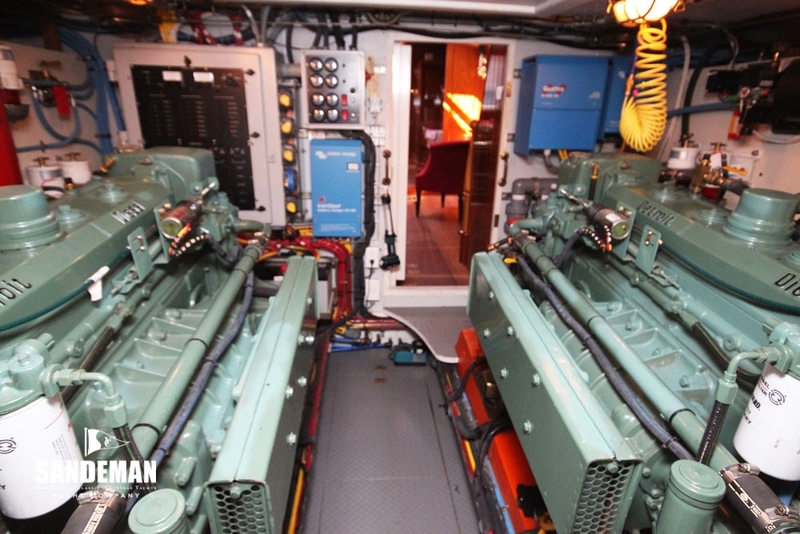 Under the name MARIGOLD, Reed Research Inc. in Washington DC used her as an ocean going research lab and later Iotron Inc had her as a stable basis to test “state of the art” electronic equipment. 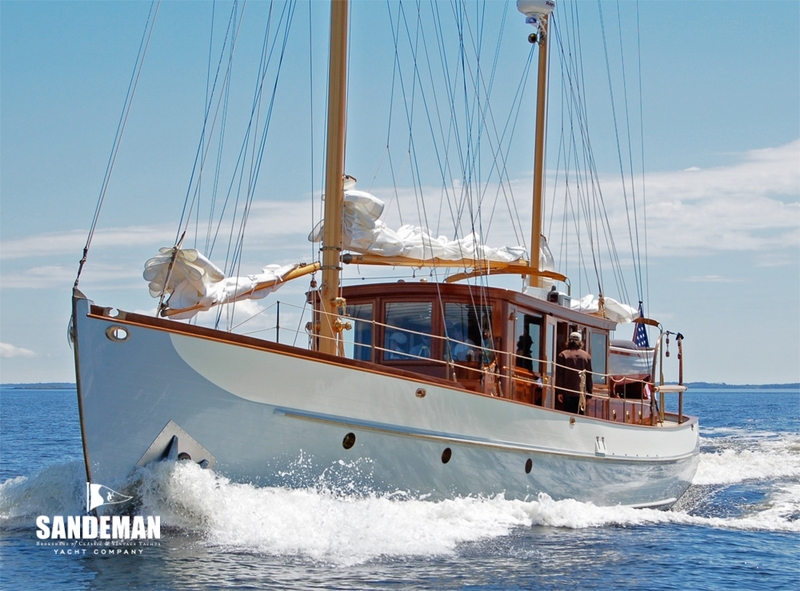 Then back in private ownership she changed her name to TSUNAMI, honouring her new owner\'s favourite art form; Japanese prints of big waves. 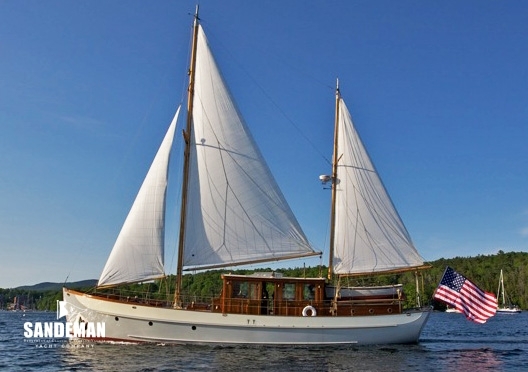 Under this name and successive ownerships, she commuted regularly between New England and Florida, confirming her ability to live up to her original owner\'s requirements. 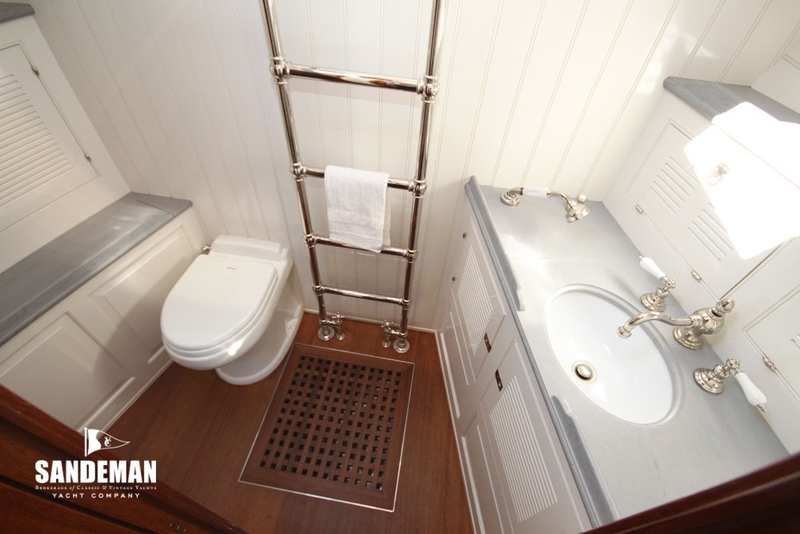 The interior is a very elegant blend of varnished raised panel and bead board, offset with white enamel and grey Corian counters, built to the highest standard of joinery. 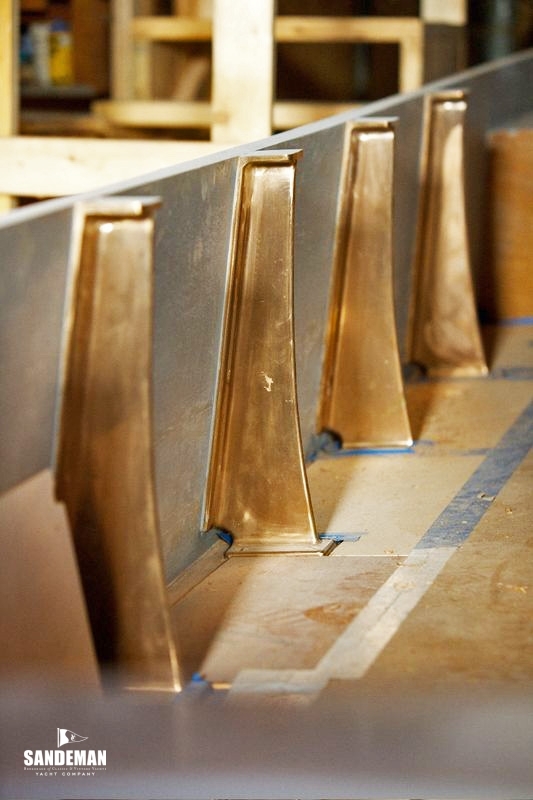 Hardware throughout is also of the highest grade, much of it custom built for this project, polished bronze or brass in living quarters, polished nickel in wet rooms. 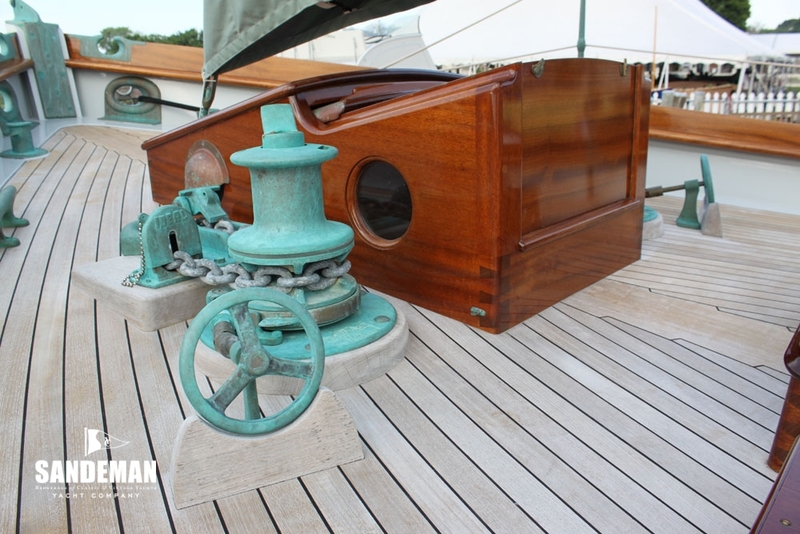 - All fittings polished brass or bronze. 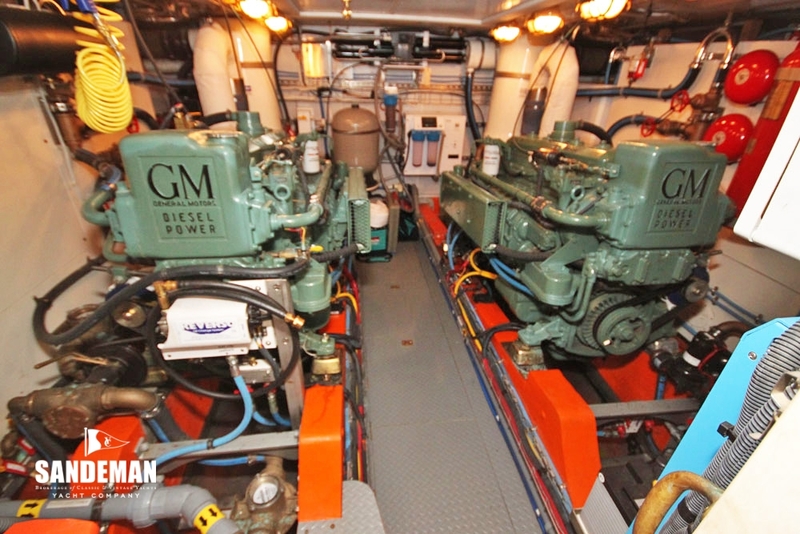 - Fuel content managed with fuel transfer pump. 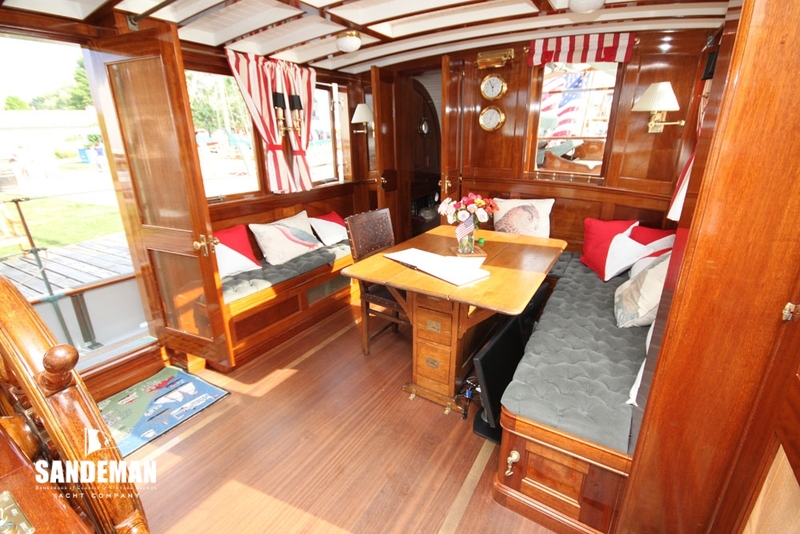 This vessel is all about restoration as described in the Brokers Comments above. 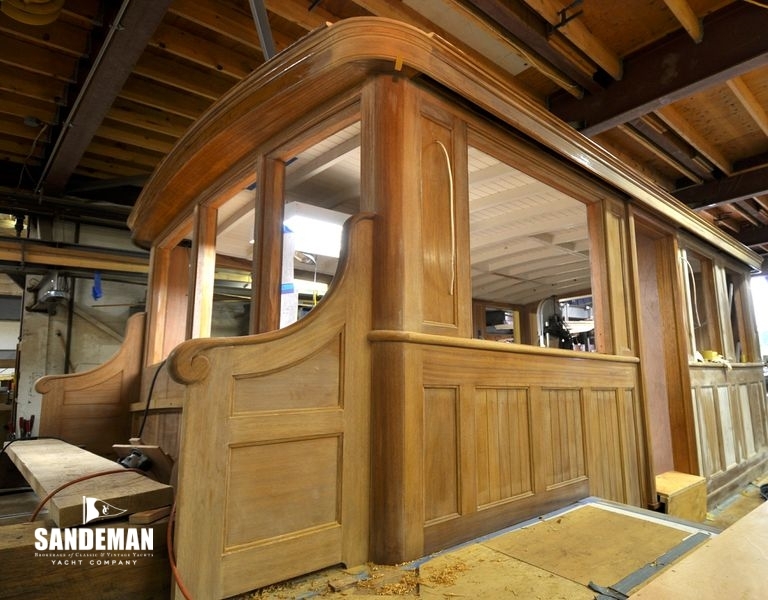 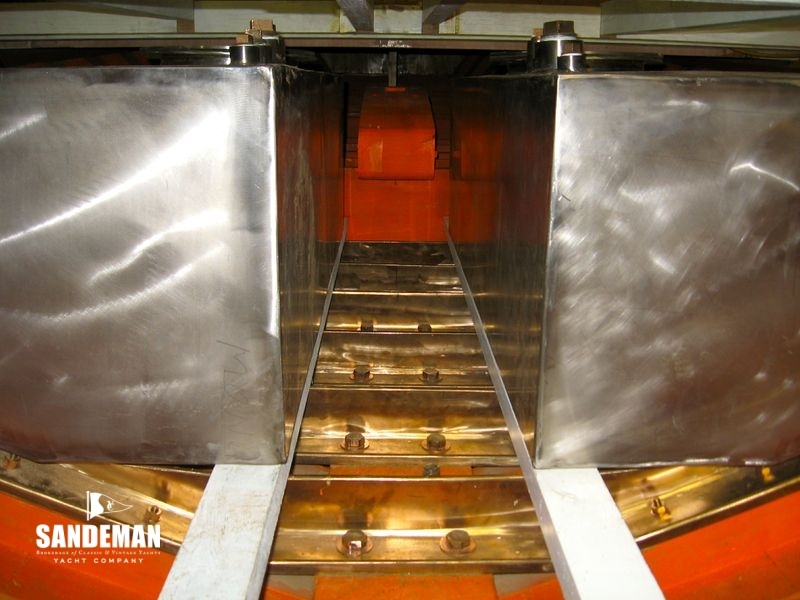 Some selected pictures taken during the process and shown here give an idea of the thoroughness and quality of the work.